A funeral service for Joyce J. Hinkle, 76, will be held at 10:00 A.M. Saturday, January 26, 2019 at The Church of Jesus Christ of Latter-Day Saints in Wheatland, Wyoming with Bishop Matt Stafford presiding. Interment will be held in the Wheatland Cemetery. Joyce Hinkle passed away Monday, November 19, 2018 at the Care Center in Rock Springs, Wyoming. She was born on September 16, 1942, in Anaconda, Montana, the daughter of Myrle Lorilla (Jensen) and Albert J. Wallace. In subsequent years she was joined by brothers, Calvin and Albert. The family lived in several communities throughout the Northwest, finally settling in Coeur d’ Alene, Idaho. 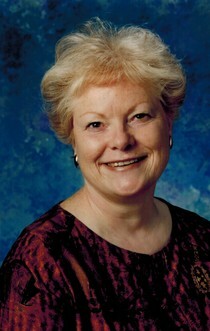 Joyce graduated from CDA High School and attended North Idaho Junior College, and eventually earning an Associate’s degree from Eastern Wyoming College.